Over the last few years there has been huge concern throughout South Africa regarding the amount of new clubs being started. This raised concerns with older clubs especially since the new clubs started and patch up immediately. This was seen as a total disrespect and was not acceptable amongst clubs that have been practicing the code. As most of the Old School Bikers felt that respect was earned and patching up immediately was being disrespectful to the patch. There was an overlap on names and patches that aggravated and exacerbated the situation even further leading to forceful removal of patches. As presidents of the Western Cape who believes in a united biking fraternity this soon became a topic of discussion and evolved into protocols being drawn up, documented and agreed upon by all presidents. 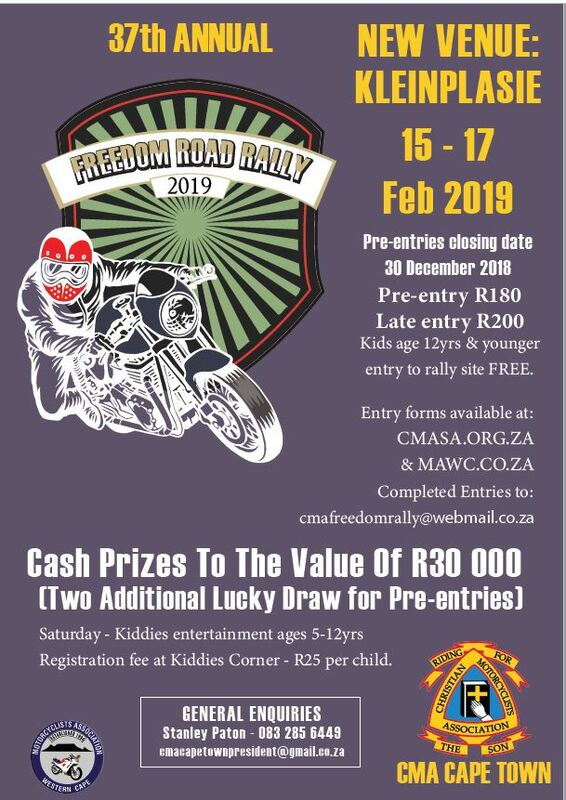 These protocols have been posted just over two years on Motor Cycle South Africa and Motorcycle Association of Western Cape websites. Despite all of this, clubs was registering on MSA and then patching up immediately. This led to further frustration and based on investigation found that the lack of understanding the protocols was the biggest reason for immediate patch ups. 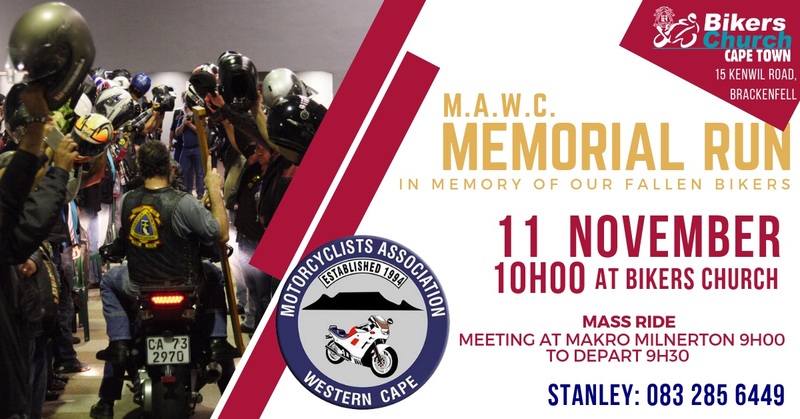 To prevent the situation from deteriorating any further the Western Cape took a pro-active stance and via MAWC and the PM mandated a task team to deal with all clubs new and old. Hence the Western Cape Bikers Task Team was started and to date has had a very positive spin off in monitoring, educating and guiding new clubs on protocols. The main aim and objective of the WCBTT is bring about awareness of protocols amongst all the clubs. With the support and backing of the presidents and MAWC it helped to stream line the process at a very rapid pace in a very short time frame. All new clubs in the province now have to meet with the WCBTT once they reach the end of the first three months used for registering the name and patch on MSA. This period is also used as an objection period from any existing clubs guarding against duplicating names or copying of patches. Prospect clubs being approved after the first three months are introduced by the WCBTT at the MAWC meeting as a prospecting Front Patch club and after a further nine months patched up as a club. All new clubs refusing to follow protocols are brought before the presidents in MAWC for a final decision which could result in being blacklisted and banned from all biking activities and function until such time that they are prepared to follow protocol. We would like to expand the concept of the Task Team and protocols to the other provinces since we deal with many clubs from other provinces wanting to start up chapters in Western Province. As a Province we are enjoying the true spirit of biking with the respect shown from the brotherhood that understand that as brothers we cannot just turn a blind eye and take the ostridge approach while we witness biking spiraling out of control. 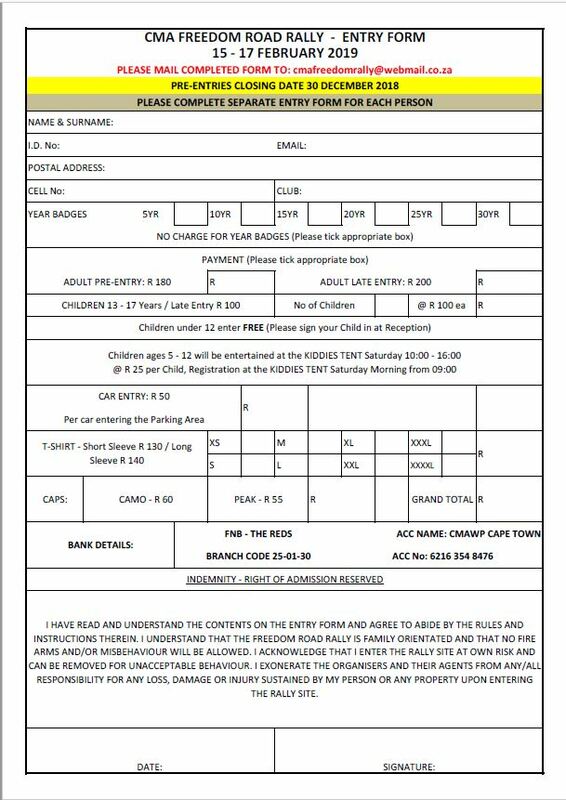 Over the last twelve months the WCBTT have been in consultation with over eighty new clubs and chapters wanting to start up in WC. The outcome has been over whelming with clubs that have patched up without following protocol removing their patches and following protocol. Success rate has been 99% with one chapter being blacklisted in the Western Cape by the Presidents. All new clubs that are compliant are introduced to the presidents at the official monthly meeting as a front patch club on probation or a fully patched club that have followed protocol. The WC biking fraternity has over the last twelve months bought into the concept of having an independent team dealing with new clubs. They have become part and parcel and act as true ambassadors of the WCBTT. This approach has to a larger extend paved and streamlined the process with all clubs taking ownership of the Protocols and embedding amongst the biking fraternity. I am the Doctor that tends to your sick child when you have nobody else to turn to. I am the lawyer that defends your rights. I am the engineer who strives to make everyday life more convenient. I am the paramedic that is first on the scene to assist your loved ones when they are involved in a horrific accident. I am the mechanic that ensures that your vehicle in which you transport your most precious cargo is safe and reliable. I am the bank teller, the supermarket assistant, the businessman, the law enforcement official, the administrative clerk, the traffic officer, the teacher and the professor. I am the housewife; father, brother, sister, grandfather and grandmother. When you walk past me in the shopping centre, you don’t give me a second glance, because like you, I am just one of the millions of people who work tirelessly to make our way in this world and try to support our families. Let me put on my leather waistcoat with its ‘patch’ or club colours embroided on the back then suddenly I am just a biker. An unruly, uncouth, lawless member of society. You see me on my motorcycle wearing my “patch” and assume the worst. You place me in a little box, which contains all the preconceived, ill-informed, decades old notions you have of what a biker is. There are bikers who display those traits that you have in your head. In the main that is not the case. Yes, we do have the irresponsible bikers who give biking a bad reputation. There are over 200 registered motorcycle clubs in the Western Cape, there are bound to be some bad apples as in any other area of life. Are all car owners’ drag racers? Are all men rapists? Are all black people criminals? Are all white people racist? You see, when you place an entire group of people into that one little box, you are generalising. Your reaction to that group is then fed by your generalisations. Generalisations tend to lead to intolerance and prejudice. Most of the motorcycle clubs in the Western Cape have constitutions and a code of conduct. They have a President and his officers who ensure compliance with that constitution. They may even belong to a motorcyclist association (e.g. Motorcycle Association of the Western Cape – www.mawc.co.za) who also has a constitution that needs to be adhered to. They have committee meetings where each officer (President, Treasurer, Road Captain, etc.) gives feedback on his/her specific responsibilities. They have protocols for prospective members to follow to ensure that an individual is a fit to their specific club. They try and test him to gauge his loyalty to the club and its membership so as to ensure that when he finally becomes a full member, he will hopefully never bring the club and his “patch” into disrepute. The mechanisms of how clubs work varies from club to club but the essence of the above remains the same. Now for the shocker! 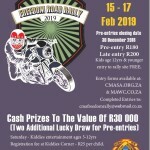 Motorcycle Clubs in the Western Cape annually raise hundreds of thousands of rands for charity. Almost every registered club has a charity or charities, which it supports. Every weekend there may be up to 3 club arranged events where clubs from different walks of life and different cultures get together and support a specific club in their fundraising endeavors. Yes. You read correctly. EVERY weekend. The charities bikers’ support includes hospitals, orphanages, old age homes and various Non-Profit Organisations (NPO’s). They raise money for cancer research. They have ‘Blood Runs” and donate 100’s of litres of blood annually. They donate school shoes to children in poorer communities just before the onset of winter. They hold soup kitchens and collect blankets and non-perishable goods every winter for the less fortunate. The list is endless. Motorcycle Clubs have incorporated the love of riding motorcycles and spending time with like-minded individuals with the need to help others. When you see that large group of bikers wearing their leather waistcoats on a weekend riding down the highway together, 9 out of 10 times they are on their way to support a motorcycle club fundraiser. And most of them do all this in-between family commitments. There are Christian, Masonic, Veteran, Social Riding and various other Motorcycle Clubs/Associations within the broad spectrum of biking. Biking is way too varied and colourful to place it in a little box. During the week, just like you, we get in our cars; get on the bus, train and taxi and head off to work to put food on the table. Some of us might use our bikes so as to not be part of the morning and afternoon traffic congestion. Just normal people who have a different way of socializing; people who have turned that socializing into a charitable endeavor. So…. what do you do with your weekends?